It's officially Christmas here at Silver Dollar City and the Showboat Branson Belle! This past week, Silver Dollar City kicked off An Old Time Christmas® and the Showboat Branson Belle debuted an all-new Christmas show. If you couldn't be a part of the fun, check out our favorite photos from the past week and make plans to visit us soon! 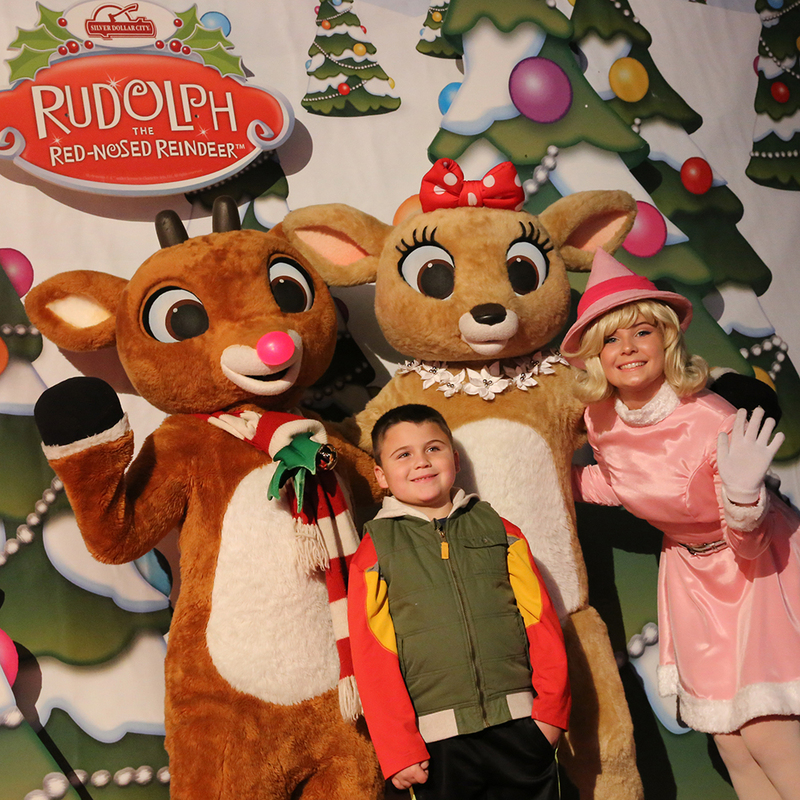 At Silver Dollar City, a young guest poses for a photo with Rudolph™ The Red-Nosed Reindeer and Clarice™ at Rudolph's Christmas Town. 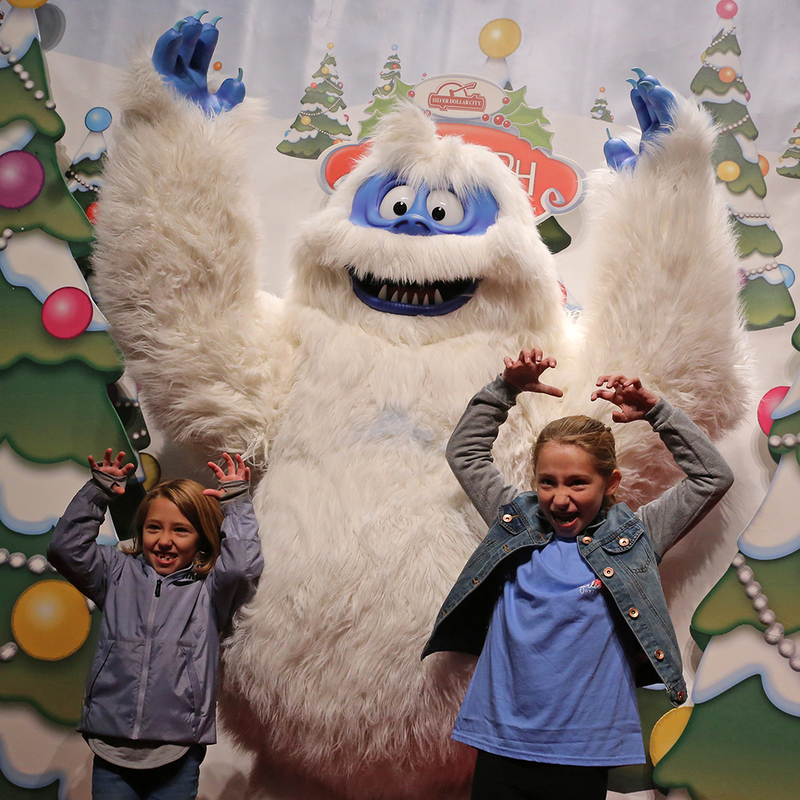 Guests can also pose for some priceless photos with Bumble The Abominable Snow Monster™. 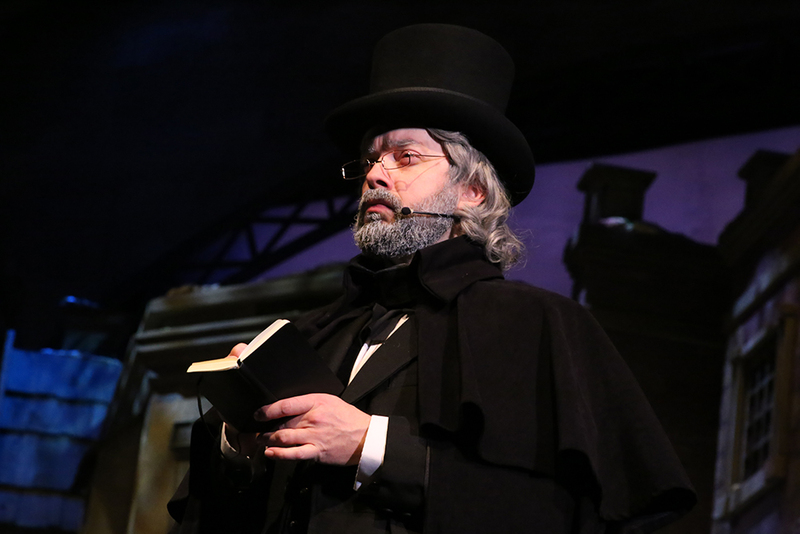 ‍Ebenezer Scrooge returned to the Opera House for A Dickens' Christmas Carol, an original musical adaptation of Charles Dickens' classic novel. 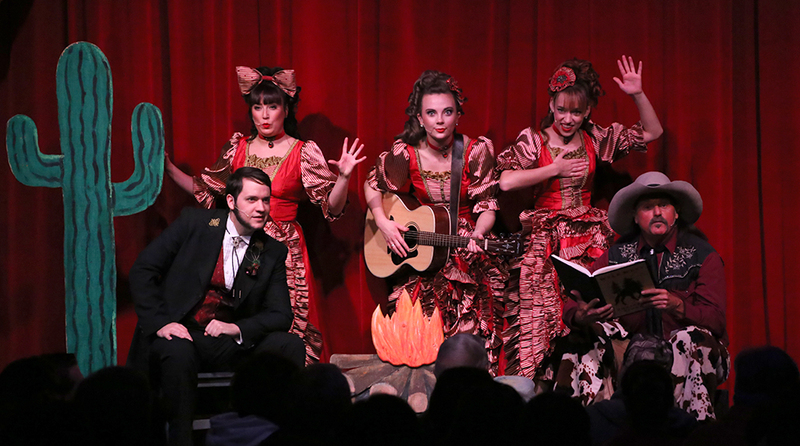 ‍Performers don exquisite Victorian costuming during the production. 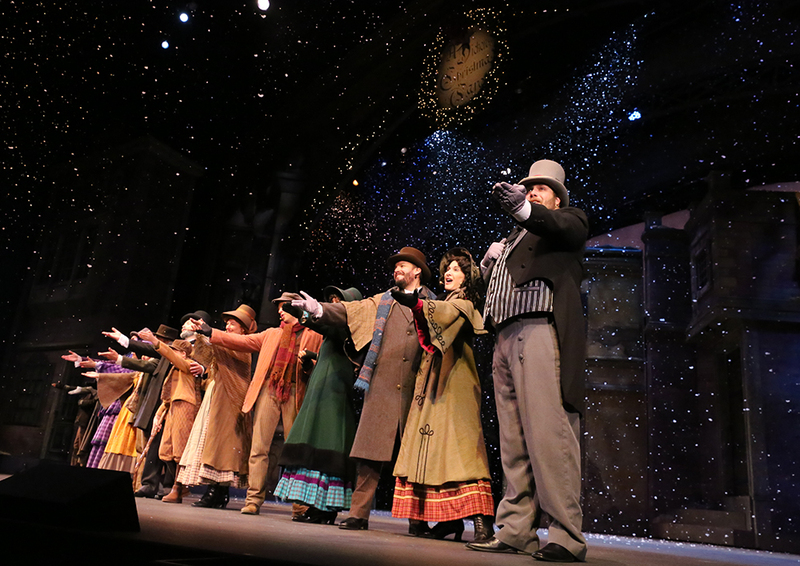 ‍The musical features a cast of 15 characters in all, and concludes with a stunning snowfall effect. 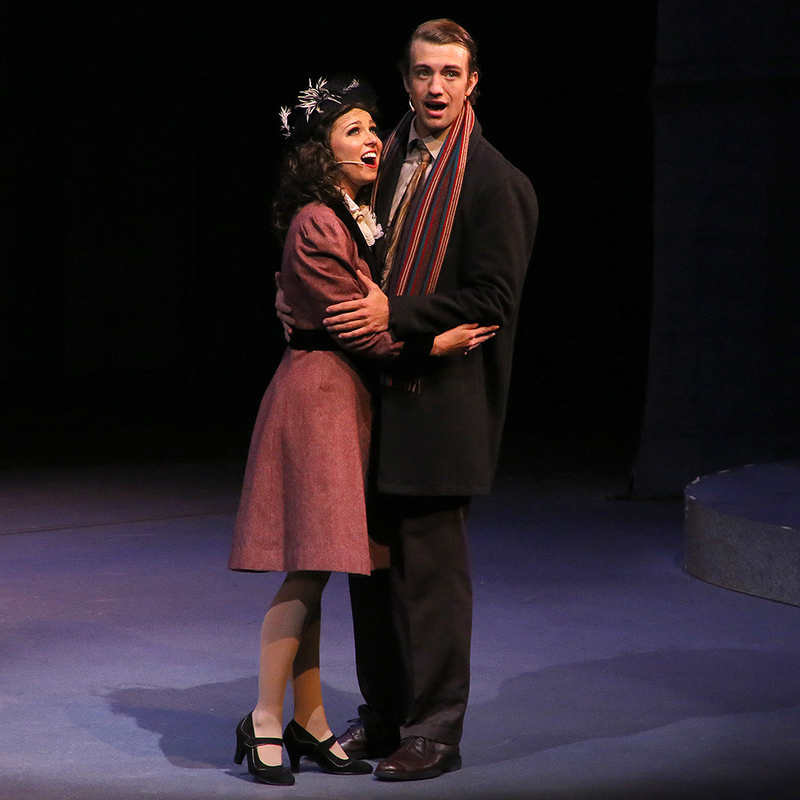 ‍Silver Dollar City's Red Gold Heritage Hall hosts It's A Wonderful Life, an original production based on Frank Capra's iconic Christmas film. 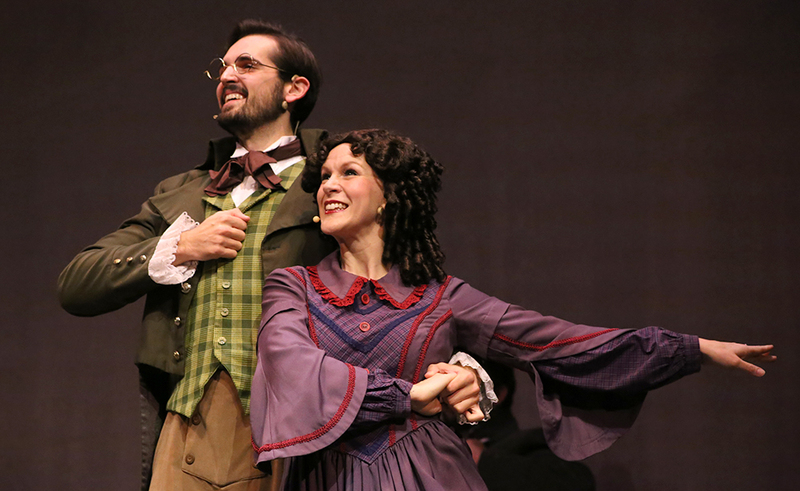 Here, actors portraying George and Mary Bailey sing one of more than 10 songs featured in the musical. ‍The Christmas fun continued at the Silver Dollar Saloon, where guests enjoyed a rollicking Wild West comedy featuring Bart, Choctaw Charlie and the Saloon girls. ‍A saloon girl smiles at the audience during the show, called Frontier Fa-La-La Follies. 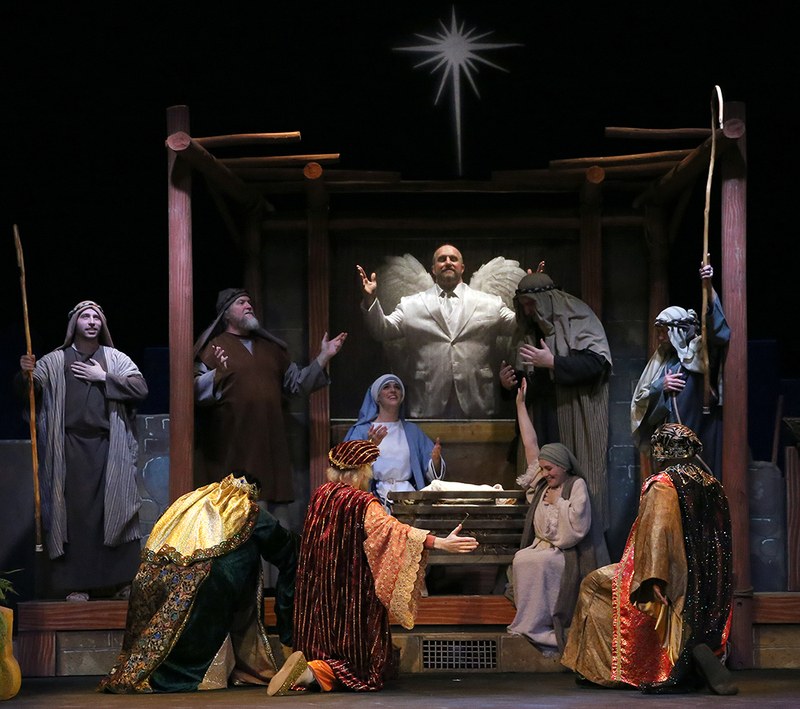 ‍Guests can also experience The Living Nativity, a dramatic musical re-enactment of the birth of Jesus Christ. ‍Young guests pose for a photo with Santa Claus at Santa Claus Lane. 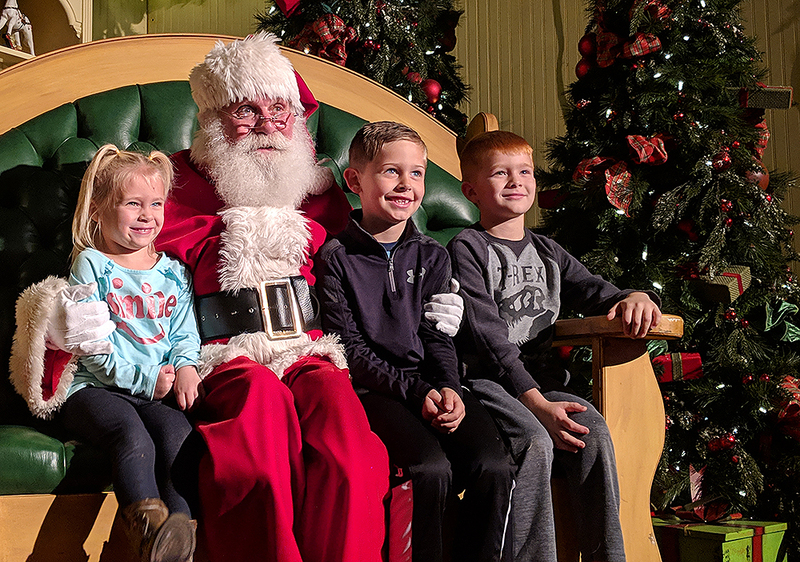 While the Christmas festival continues through December 30, Santa will only be at Silver Dollar City through December 23! 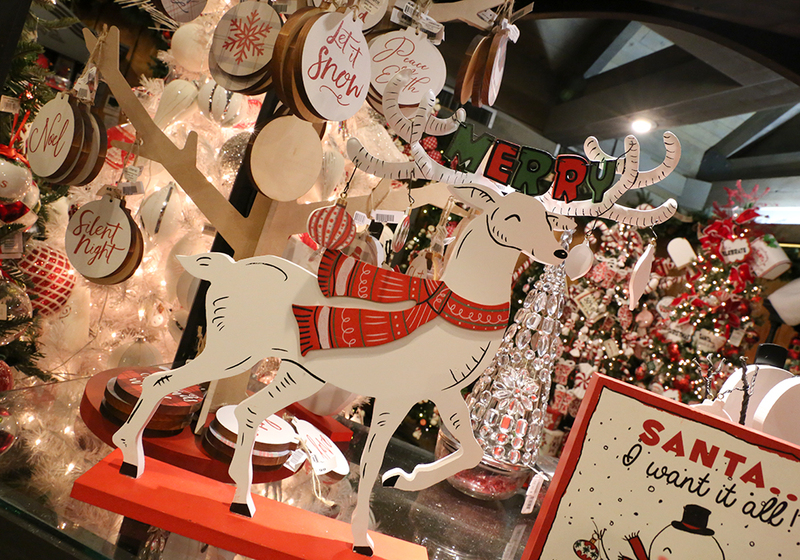 ‍Christmas decor and ornaments line the shelves at Christmas Hollow, one of 60 unique shops throughout the park. ‍At the Showboat Branson Belle, the Showboat Dancers were fully in the Christmas spirit during the debut of our new Christmas Show. ‍The Showboat Singers perform a rockin' Christmas medley, classic rock hits from the 1960s to today, along with a tribute to classic movie soundtrack songs. 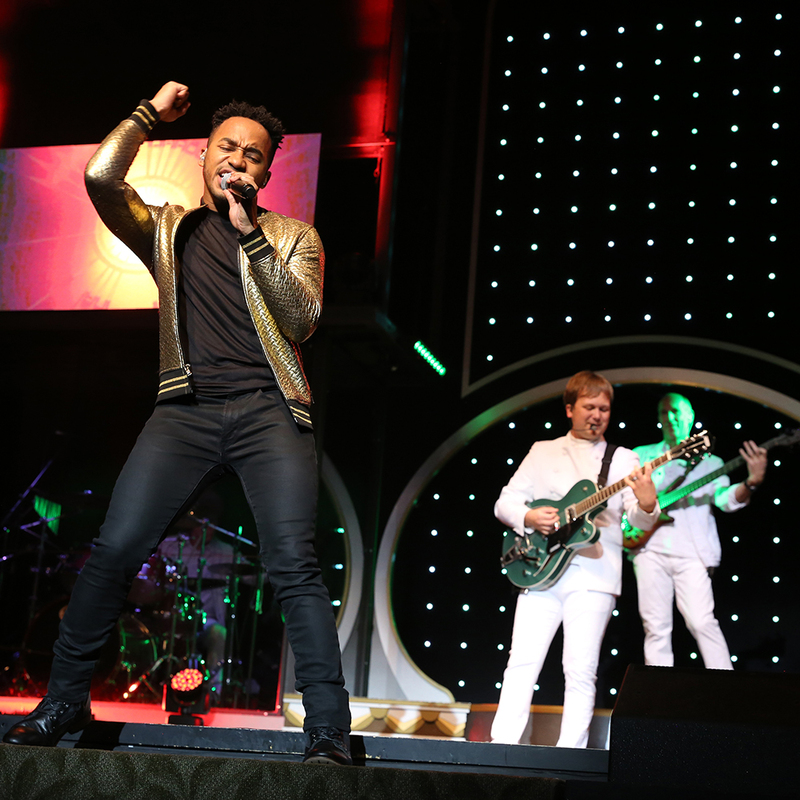 ‍A Showboat Singer performs "Run Rudolph Run," made famous by Chuck Berry, as the Showboat Band backs him up. 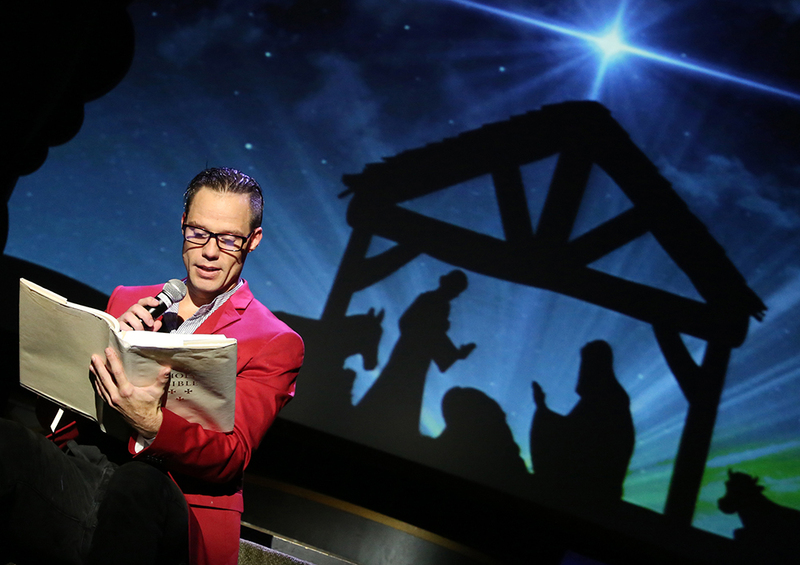 ‍The show also features a reading of Luke 2:8-14, the story of Christ's birth. 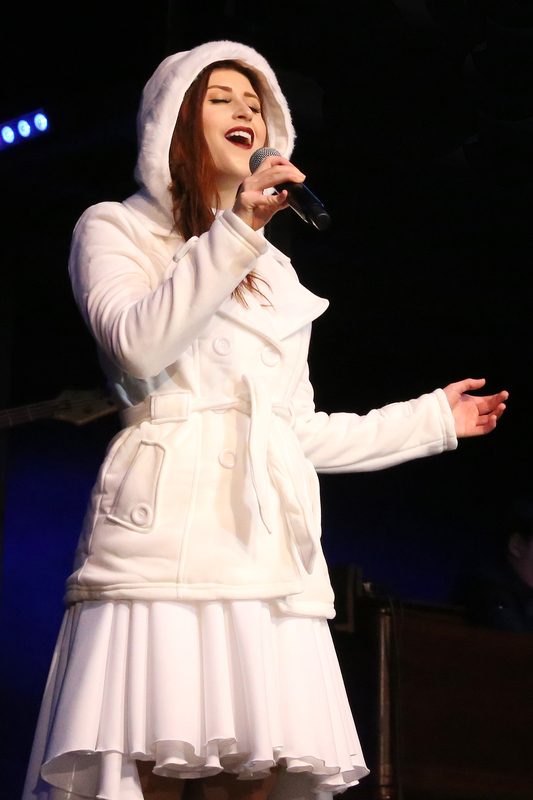 ‍A performer dons one of the new winter costumes for her track in the show. Don't miss the fun! 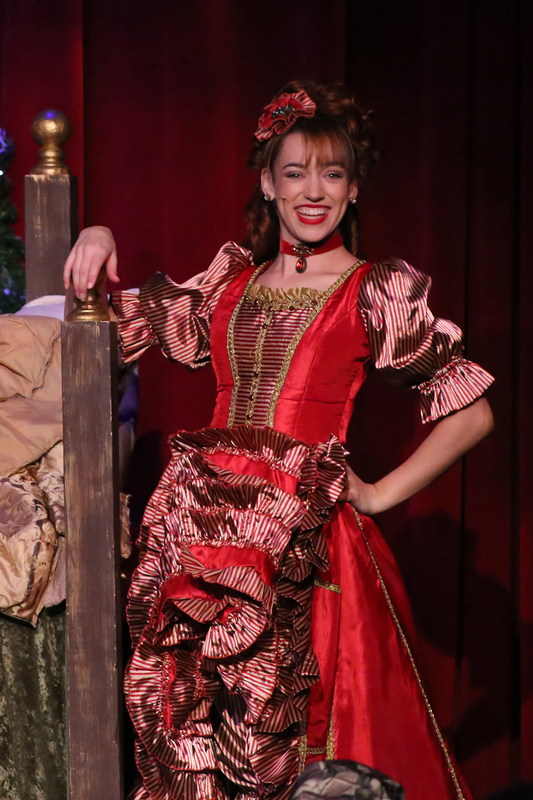 The Showboat Branson Belle's Christmas Show continues select days through December 23, while Silver Dollar City's An Old Time Christmas® continues select days through December 30. Get tickets today! An Old Time Christmas® is presented by Humana®. Rudolph The Red-Nosed Reindeer and all related elements © and ™ under license to Character Arts, LLC. All rights reserved.